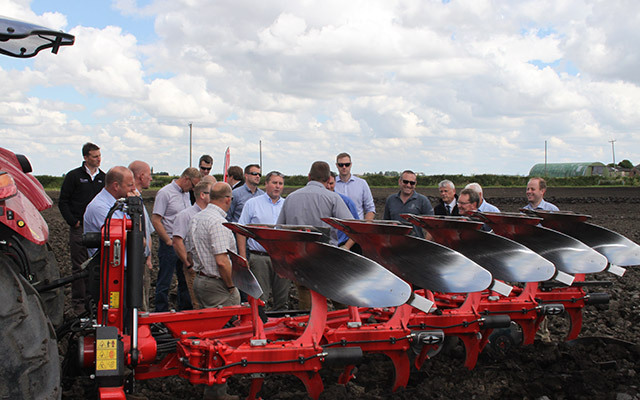 Grégoire-Besson UK played host to Grégoire-Besson and Sulky dealers during three dealer sales training days, held this month at the Grégoire-Besson and Sulky UK’s head office, based in Bourne Lincolnshire. Consisting of three one-day training programmes, over 60 delegates from across the UK were in attendance to gain technical product training. Each day consisting of a mix of classroom based training presentations, machinery walkarounds and in-field working demonstrations, all of which were delivered by the Grégoire-Besson team. 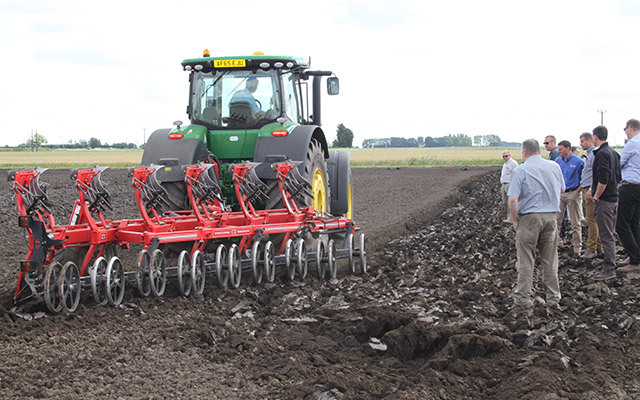 Days one and three focused on the latest developments from Grégoire-Besson, and following classroom based training on Ploughs, Tines and Discs it was off into the field to see the full Grégoire-Besson plough range, the CROSSLAND Tined Cultivator, the REFLEX Cultivator and the NORMANDIE Compact Disc Harrow in action. Day two; following a similar format, focused on Sulky Drills and Fertiliser Spreaders. 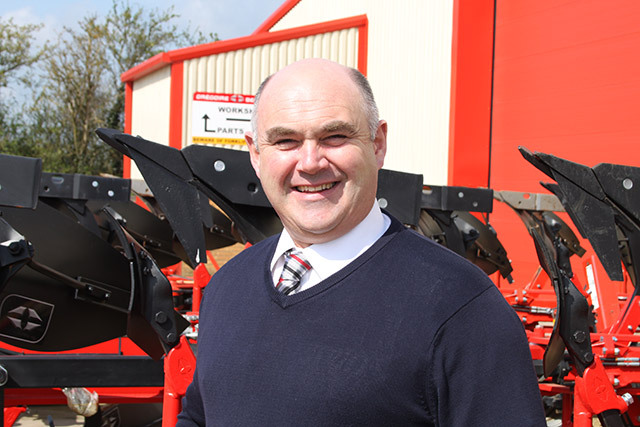 Gregoire Besson, the innovative manufacturer of ploughs and tillage equipment, has appointed a new Area Sales Manager to cover its Western region of the U.K.
Mike Amos, who hails from Sheffield has an excellent working knowledge of both the region and the industry, having been brought up in the area. After leaving school Mike trained as an engineer, resulting in him being awarded the prestigious John Deere Recognition of Excellence Award in the late 1980’s. His career development took him through various roles in the agricultural industry, from performing in a sales and service capacity for two respected dealerships in the north of England, and more recently as a territory manager and after-sales with Lynx Engineering. Mike, a family man with two children, is keen on building relationships, both with the dealer principals and sales staff he services, and the farmers that they work with. High levels of customer service are important to Mike and he said - "I am delighted to be part of the growing team at Gregoire Besson and I am looking forward to meeting customers both old and new. With Cereals 2016 not far away this will be an ideal opportunity to introduce myself to people. We have a unique range of machinery to offer, including that from our German sister company Rabe and our U.K. partner Sulky ". Mike's ambition is to become a respected and trusted partner to dealers and farmers alike. His in-depth agricultural engineering knowledge combined with his calm and considered attitude to life will no doubt serve him well as he embraces his new sales and service role with this innovative manufacturer of quality agricultural machinery. As part of the growth strategy for 2016, The Managing Director of both Gregoire Besson UK and Rabe UK is proud to extend a warm welcome to his new tenants - Sulky Burel UK - at his Bourne, Lincolnshire based headquarters. The MD, who is also UK Sales Manager for the new Sulky-Burel subsidiary, Sulky Burel UK, has big plans for the three complementary agricultural machinery brands. The shared prestigious offices, depot, workshop and meeting rooms at Bourne boast a number of modern facilities that will help Sulky establish itself firmly in the UK, alongside Gregoire Besson and Rabe. The shared high quality facilities will allow all three brands to offer UK farmers a comprehensive range of equipment, a pro-active sales and after-sales service and a plentiful supply of spare parts, all from this centrally located logistics centre. The collaboration also enables Gregoire to provide technical advice to its dealer network along with high quality customer service; both locally and nationally via a team of eight, all managed out of his impressive Bourne headquarters. 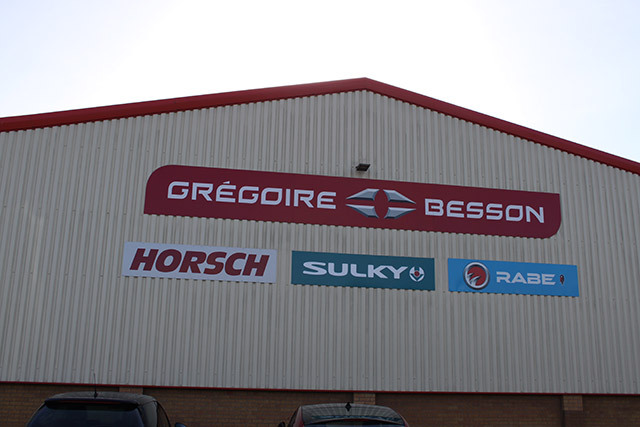 Managing Director of Gregoire Besson is responsible for an extensive amount of stock at his UK headquarters, including mounted and Trailed fertiliser spreaders, soil preparation implements, like power harrows and disc harrows, alongside a range of ploughs and both mechanical and air seed drills. This comprehensive machinery offering, combined with his team’s collaborative approach to sales and marketing will ensure that Bourne stays on the map as a key location for distribution throughout the UK. 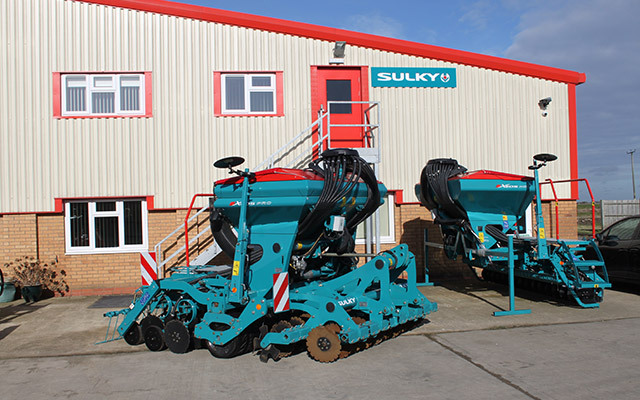 As part of the company’s strategy to develop its farm equipment brand in European export markets, specialist fertiliser spreader and seed drill manufacturer Sulky-Burel has launched a UK sales subsidiary. Nicholas Hughes, N.C.H. 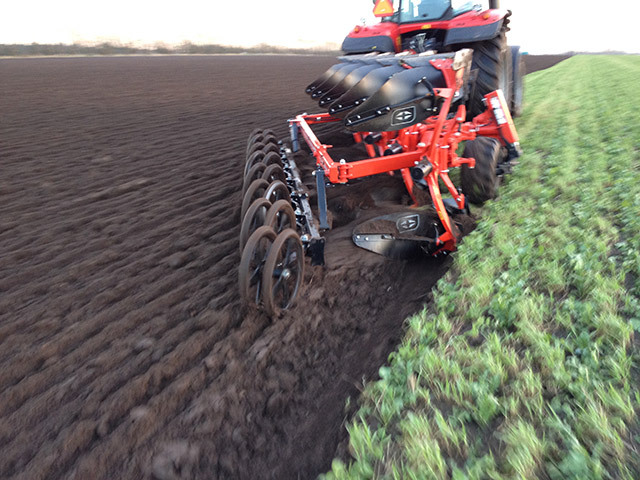 Agri Ltd. Moyloughbeg, Co. Galway chooses a Gregoire Besson - Five Furrow RWY6 Plough. Nicholas Hughes in Oct 2015. I was really looking forward to seeing the Gregoire Besson RWY6 plough in action following its award at the 2014 Ploughing Championships. (Innovation Rosette Award by Irish Farmers Journal / Toplink). Co. Galway will not immediately come to mind as a tillage county, since the demise of the Tuam Sugar factory, but Nicholas Hughes informed me that between reseeding and preparing ground for barley he is kept busy. 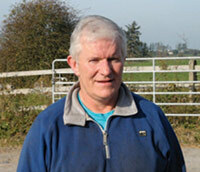 "I grow about 100 acres of barley myself and a few neighbours would grow an equal amount. Last year was also a busy reseeding year so I had to change my old four furrow for a bigger model, just to manage the extra work. Quigley's my local dealer arranged a demonstration of the Gregoire Besson and when I saw it working I was convinced. It did a nice job in fairly rough conditions, even with only one set of discs on the rear furrow and it left a nice clean finish with no raggedy bits". Lincolnshire-based Grégoire Besson UK today announced the appointment of three new distributors to sell its range of cultivation machinery. 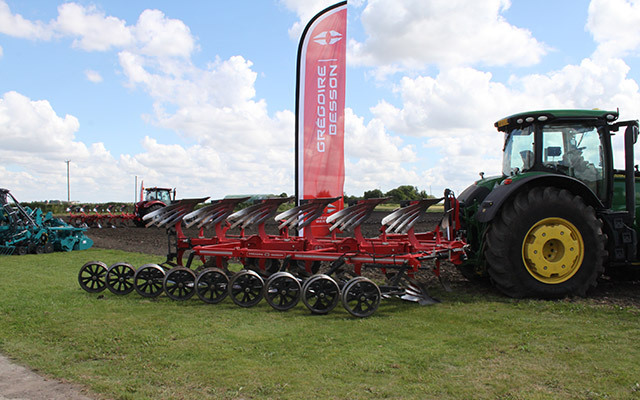 Leading agricultural machinery dealerships, RC Setchfield Ltd, Brockhills of Yorkshire Ltd and RBM Agricultural Ltd, will now champion Grégoire Besson's full range of ploughs, disc harrows, tined cultivators and tillage equipment. RC Setchfield Ltd is a family run business that was set up in Grantham in 1982. The company focuses mainly on materials handlers and tractors, among a variety of other machinery to meet the precise and exacting demands of today’s professional farm businesses.